Nevertheless yesterday I updated the facebook app and it started to show a counter of unread messages private messages. How come facebook app can and I cant do so for my app? Android ("vanilla" android without custom launchers and touch interfaces) does not allow changing of the application icon, because it is sealed in the .apk tightly once the program is compiled. There is no way to change it to a 'drawable' programmatically using standard APIs. You may achieve your goal by using a widget instead of an icon. Widgets are customisable. Please read this :http://www.cnet.com/8301-19736_1-10278814-251.html and this http://developer.android.com/guide/topics/appwidgets/index.html. Also look here: https://github.com/jgilfelt/android-viewbadger. It can help you. How does Facebook add badge numbers on app icon in Android? 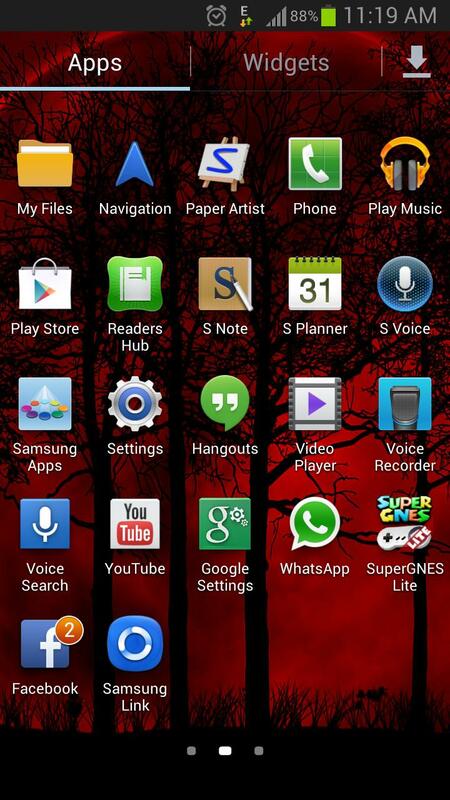 As you see this is not an actual Facebook app it's TouchWiz. In vanilla android this can be achieved with Nova Launcher http://forums.androidcentral.com/android-applications/199709-how-guide-global-badge-notifications.html So if you will see icon badges somewhere, be sure it is either a 3-rd party launcher or touch interface (frontend wrapper). May be sometime Google will add this capability to the standard Android API. ShortcutBadger is a library that adds an abstraction layer over the device brand and current launcher and offers a great result. Works with LG, Sony, Samsung, HTC and other custom Launchers. It even has a way to display Badge Count in Pure Android devices desktop. It includes a demo application that allows you to test its behavior. I have figured out how this is done for Sony devices. I've blogged about it here. I've also posted a seperate SO question about this here. Sony devices use a class named BadgeReciever. Done. Once this Intent is broadcast the launcher should show a badge on your application icon. I've excluded details on how I found this to keep the answer short, but it's all available in the blog. Might be an interesting read for someone. This is sample and best way for showing badge on notification launcher icon. ==> MyGcmListenerService.java Use BadgeUtils class when notification comes. Not the answer you're looking for? Browse other questions tagged android android-layout notifications icons or ask your own question. How does Marshmallow show Notification Badges? How to change an application icon programmatically in Android? How to interface with the BadgeProvider on Samsung phones to add a count to the app icon? How to add a notification badge/count to application icon on Sony Xperia devices? 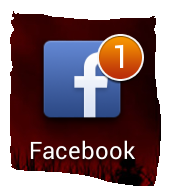 How to show notification count on app icon like Facebook? Why is the Android App Icon not coming up in App Info and Clear Tasks?